This entry was posted in Uncategorized and tagged announcements, book tour, Dreamspinner Press, gay romance, giveaway, GLBTQ, guest blog, male male romance, new release, promo, Sarah Madison, writing by Sarah Madison. Bookmark the permalink. Grins at you. Thank you for hosting me, Sarah. It’s really appreciated. I couldn’t be more delighted! I see it’s currently in the top 100 in both the steampunk and GLBT categories! So completely well-deserved! Yeah, it’s doing well outside the LGBT category, which is nice! 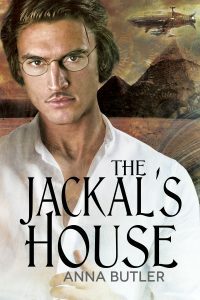 Sarah Madison recently posted..The Jackal’s House by Anna Butler: Release Day Book Tour & Giveaway!